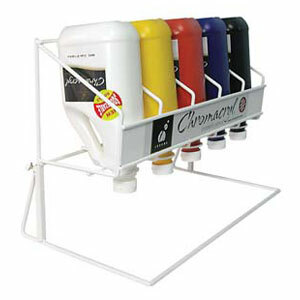 The Chromacryl Paint Dispenser is designed for use with 2L Chromacryl Acrylic Paint. Ideal for classroom use. The Chromacryl Paint Dispenser Pump, which fits 1L and 2L bottles, allows for clean and simple paint dispensing.